We all adore Japanese cuisine. It’s simultaneously refined, elegant, comforting and natural, and continues to grow exponentially in popularity beyond its homeland. But what do we know of the impact Japan’s rich nature, history and culture have played in the development of this exceptional cuisine? The Japanese Culinary Academy set about to explore just that, in this prologue to what promises to be an epic multi-volume set. 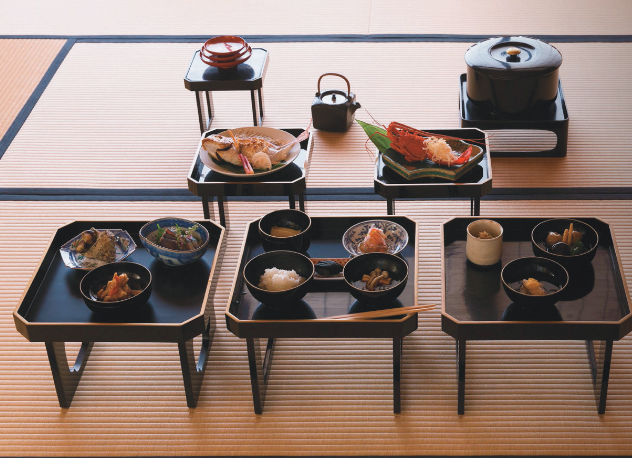 The experts at The Japanese Culinary Academy – including renowned chefs and respected historians – have not shied away from tackling the big subjects in this area. This includes the impact religion has played in the development of traditions in Japanese food, for example, the practice of preparing shinsen offerings of food to the Gods and the development of Shojin cuisine, a Buddhist inspired abstinence from certain foods such as meat. They also look into the unique flavours in Japanese cuisine, asking ‘what is umami?’ and explaining intriguing terms such as ‘umami synergy’. 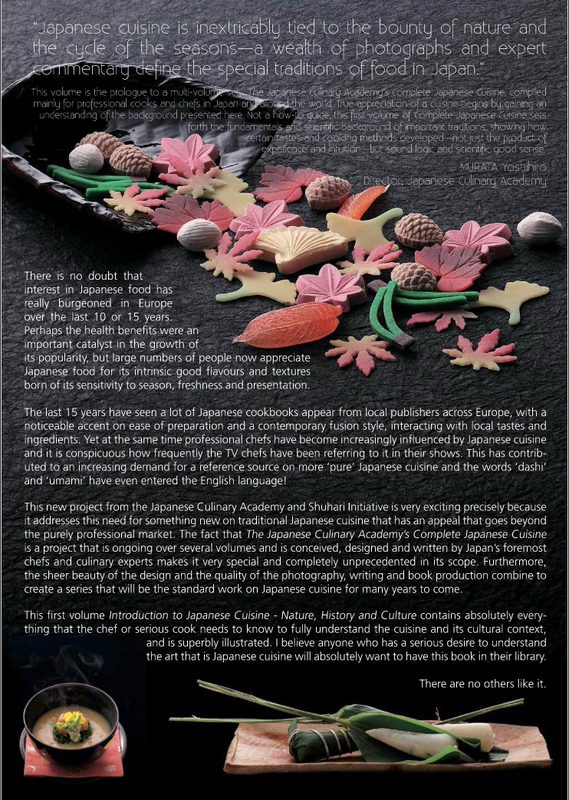 Moreover, the text reveals how deeply Japanese cuisine is interlinked with the changing seasons, and the importance food plays at key cultural events throughout the calendar. The expertise and passion from the writers coupled with the detail provided proves for an informative read indeed; a colourful and invaluable insight into the circumstances which led to the extraordinary cuisine of Japan. Interspersing the informative chapters are lavish images of some exquisite dishes and distinctly Japanese scenes; from the inside of a traditional soy sauce fermenting storehouse to a plate of grilled sea bream that looks good enough to eat right off the page. 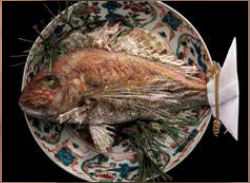 The photography brings the story of Japanese cuisine alive and results in an immersive, sensory reading experience. Alongside an exploration of the nature, history and culture of Japanese cuisine, the book offers an impressive selection of tempting Japanese recipes from the elegantly simple – Simmered Winter Vegetables – to the rather more extravagant – Barracuda in Smoldering Cedar Shavings. There’s plenty to inspire home cooks and professional chefs alike. A wonderfully realised immersion into the world of Japanese cuisine, with beautiful images, informative insights from experts and inspirational recipes. 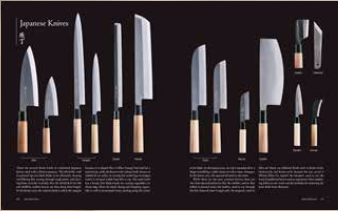 This book will make a wonderful addition to the kitchen counter of any chef, foodie or fan of Japanese cuisine. Introduction To Japanese Cuisine – Nature, History and Culture, part of The Japanese Culinary Academy’s Complete Japanese Cuisine, is available at Japan Centre. Shop now. Posted in Uncategorized and tagged History and Culture, Introduction to Japanese Cuisine, The Japanese Culinary Academy. Bookmark the permalink.